A digital marketing strategy is an important part of the overall marketing strategy of a business. This is true whether or not a company is doing business online. It is also true for a small, medium or large size company but especially true for a small company. Small business marketing for a local company can include many offline local advertising methods but needs to include a healthy portion of digital marketing strategies to be successful and maximize sales in today's economy. A small business that is doing most or all of its business online needs to embrace a digital marketing strategy that helps it be seen by online users. This portion of marketing is critical for a small business. It gives you a chance to compete with larger companies by being visible in search engines. Since people use search engines to find products both online and locally, it is important that your company place high in search results for words that relate to what you are selling. Professional Internet marketing firms offer this service under the name of search engine optimization. They can make sure your site is visible to those looking for your product when using a search engine. Location-based marketing includes website optimization for search results, but also, integrates a search engine's function of maps. This is especially true with Google, where your business can be listed with mapping and address information, giving a prospective customer what they need to visit your establishment. Your phone number and website address can also be listed. Customer service will often be available to help someone decide if they are interested in your product or service. This strategy revolves around giving prospective customer information about your product or service, as well as information in general. Everyone is trying to sell, but those that can inform are more likely to get sales. People will attribute a certain level of expertise to a company, and this instills confidence in the consumer. Content marketing in the past was often done with printed brochures and guidebooks, but today, this can be done with articles and other forms of information on a business's website. This type of marketing can be tricky. Everyone talks about social media, but the truth is, it can be difficult for companies to integrate social media with their business. The type of media used, as well as how it is used, is dependent upon the type of business you have. For some companies being in touch with their customers and giving them breaking news can be an important element of success. Other business, such as a local restaurant, have seen success using social media by letting customers know of the latest specials and new additions to their menu. The most important aspect of social media is to use it to strengthen your customer base to achieve repeat sales. This form of marketing is crucial to a small business online or offline. Essentially email marketing is about building a list of customers and prospective customers. This list of names and emails are people who are interested in your business, and you know this to be true because they have opted into this list themselves. Perhaps they were offered future updates on products as well as coupons to sign up. As this list grows, it becomes more valuable. Many marketing professionals consider this to be, in the long run, the most important small business marketing strategy in the long run. 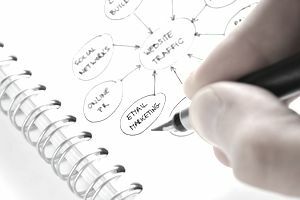 Online marketing strategies that are often outsourced include social media, search engine, and local search marketing, because unless you have time to dedicate it's difficult to stay on the multiple changes that transpire when it comes to strategy. With content and email marketing, you can do much of it yourself, but it never hurts to ask experts for strategy advice to help get you started.